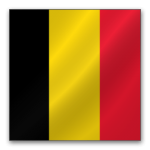 For expert information and advice about buying or selling boats and yachts in Belgium contact one of our experienced advisers who will be happy to assist you. Below is the current list of boats for sale in Belgium that are available to our network. New Launch 28GT in Fountain blue metallic with all the options you need, call for info.